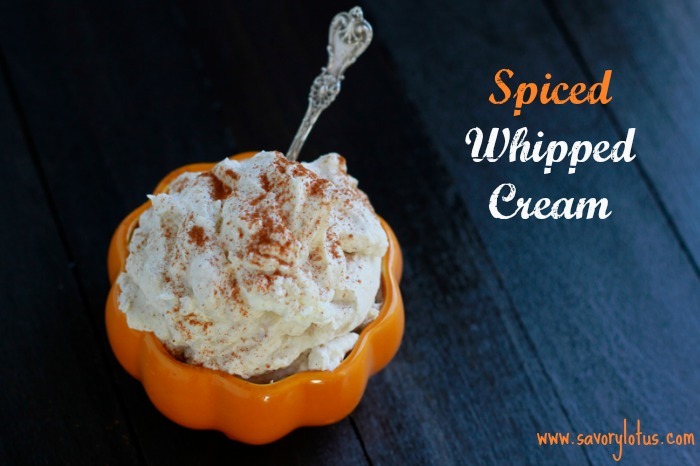 Whipped cream is delicious, but spiced whipped cream is divine. Sometimes you just want to serve something a little special. 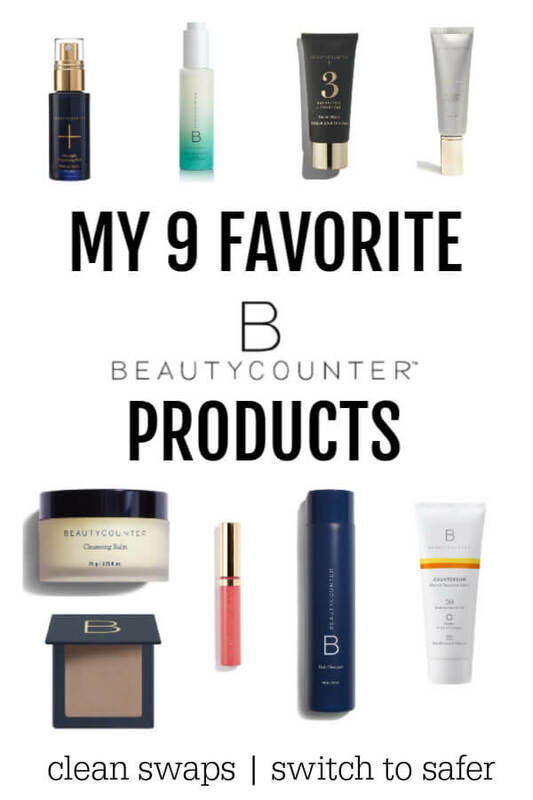 Today’s post is short and sweet. 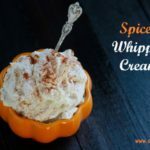 Add a titch of spice to your desserts with this super easy, light and fluffy Spiced Whipped Cream. As the holidays roll around, it’s time to gather with friends and family. Sharing food and cozy connections build memories to last a life time. 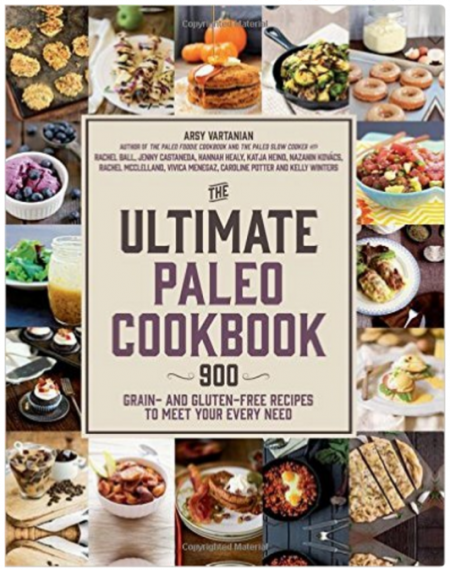 What better way to highlight special occasions than with amazingly decadent homemade desserts. 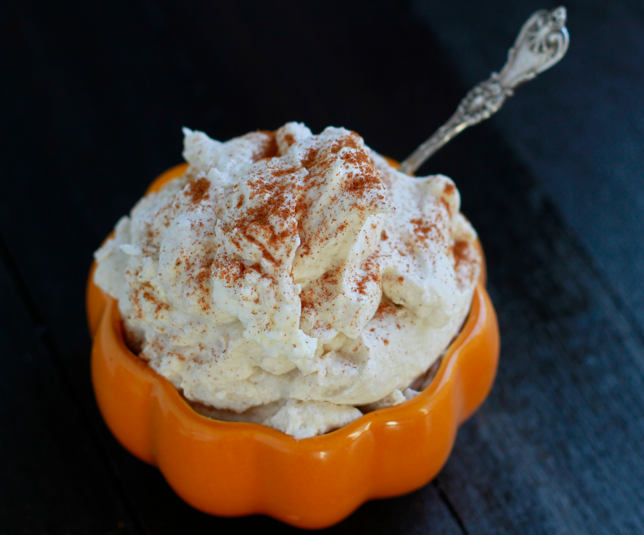 This simple whipped cream recipe will definitely impress and delight all of your guests. Just try not to eat it all before dessert is served. 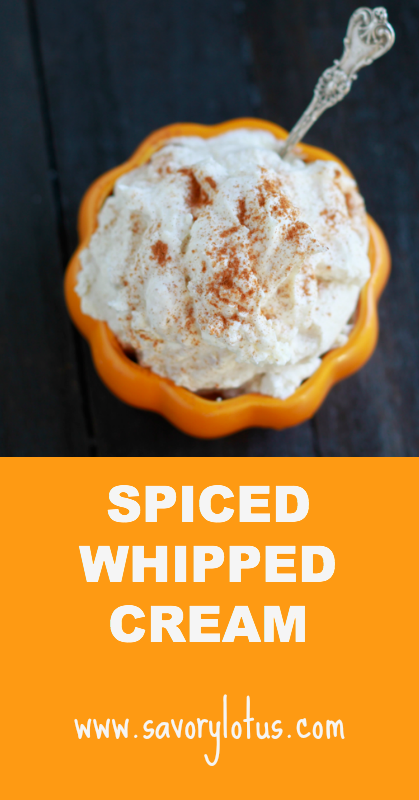 Oh, and if dairy is not your thing, this works with coconut whipped cream as well. Have a wonderful fall and winter season! 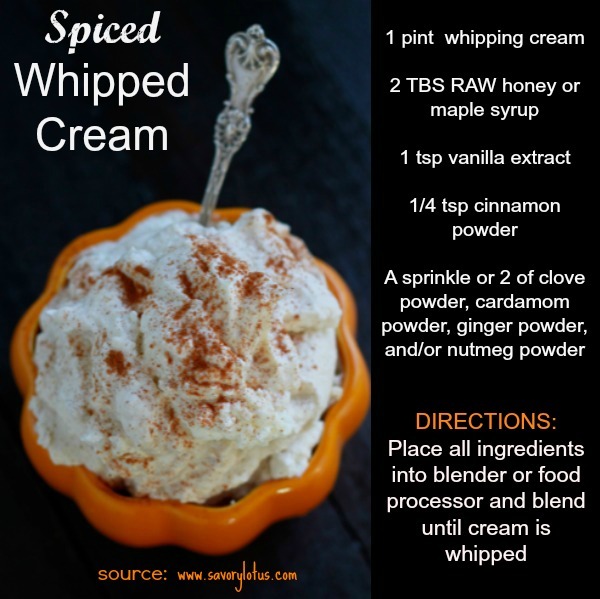 Place all ingredients into blender or food processor and blend until cream is whipped. A hand mixer will work, too.